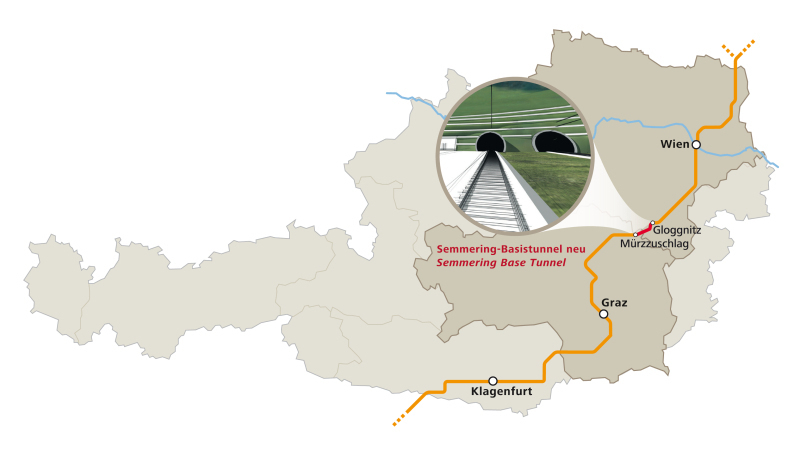 At the Semmering Base Tunnel (SBT) ÖBB-Infrastruktur AG has awarded a joint venture of Implenia, Hochtief Infrastructure Austria and Thyssen Schachtbau the contract for section SBT1.1 „Tunnel Gloggnitz”, worth 457 million euros. Within the section SBT1.1 consortium Hochtief and Implenia each have a share of 40 %. Implenia takes technical lead in the JV. 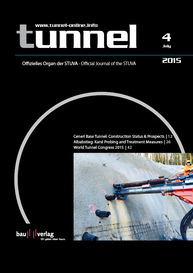 In January 2014, the Swiss construction company already won the contract for section SBT2.1 “Tunnel Fröschnitzgraben” (consortium share 50%). 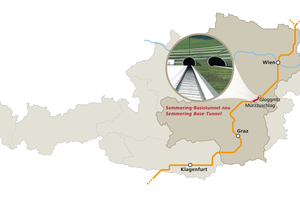 “Tunnel Gloggnitz”,the most eastward of the three SBT construction lots, involves the creation of two single-track rail tunnels, each approximately 7.5 km long. These are being excavated from two sides, the Gloggnitz portal and the Göstritz access point, using the shotcrete method. 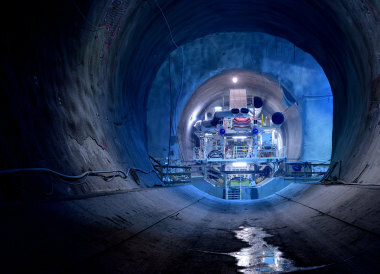 The tubes will be linked by 16 connecting galleries, an equipment gallery and two logistics shafts. 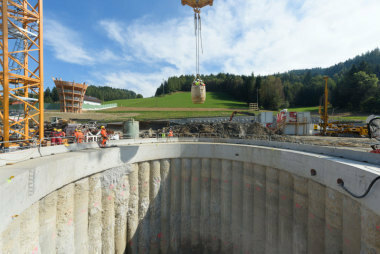 The Göstritz access point comprises an access tunnel with a length of around 1000 m and two 450 m shafts. Furthermore, two shafts going to a depth of some 260 m with the caverns required for construction operations will be created at the end of the tunnel. In addition to tunnelling, shaft construction, building construction and roadworks, the complex project includes slope stabilisation, excavation, concreting, asphalting, concrete ceilings, drainage and cabling work, as well as landscaping and maintenance. Work on the lot starts in summer 2015 and will last until 2024.